The trucking industry is heavily regulated at the state, federal, and international level. There are numerous rules and regulations that carriers must obey in order to legally operate, and achieve DOT compliance. The most complex federal rules and regulations pertain to vehicle licensing, trip permits, and the IFTA fuel tax. Navigating these rules can be a challenge, even for companies that have been in business for years. Despite this, it is imperative that carriers follow the letter of the law, otherwise they face stiff fines and penalties and may even risk losing their authority altogether. The Federal Motor Carrier Safety Administration (FMCSA) is the governing body that oversees registrations for both the United States Department of Transportation (USDOT) authority to operate (MC Number). Carriers that transport passengers or cargo across state lines are generally required to obtain a USDOT number. This is processed through the FMCSA's Unified Registration System (URS). Once a carrier has received their DOT number, they are also required to update their registration bi-annually and whenever there are any changes to their registration information. In addition, 32 statesrequire intrastate carriers to apply for and obtain a DOT number. Additional authority is required for carriers transporting hazardous materials. Besides the registrations required at the federal level, carriers are also subject to a number of registration requirements at the state level. Oftentimes, these registrations involve multiple state agencies. Following are some of the standard requirements for carriers and their drivers, but keep in mind that some states also require temporary permits and additional tax registration in some instances. The IRP requires carriers to register with the DOT in their base state before they're allowed to operate an an interstate carrier. It also allows carriers to operate in Canada. After receiving the registration, carriers are required to track and report the mileage driven in each jurisdiction they operate in and pay the appropriate fees. This must be renewed on an annual basis. The purpose of the IFTA is to streamline reporting of the fuel that is used by interstate carriers and those who operate in Canada. As with the IRP, carriers are required to register in their base state's department of revenue. 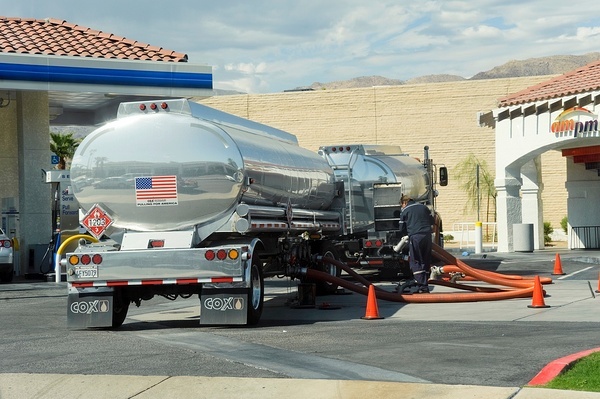 Carriers must carefully document fuel usage in each jurisdiction and submit a quarterly report. To remain DOT compliant, IFTA credentials must be renewed on an annual basis. Commercial vehicles are required to have a license plate, referred to as a straight-plate, if they are operating only in an intrastate manner. Requirements vary from state to state. In some cases, it is necessary to have a plate affixed to the vehicle both in the front and the rear. The majority of states require annual, or bi-annual renewal of plates. For a driver to operate in a commercial vehicle legally, they must complete training and obtain a commercial driver's licence (CDL). While the application and testing requirements vary from state to state, most require drivers to be at least 18 to operate on an intrastate level and 21 for interstate travel. To qualify for a CDL, drivers must pass a knowledge test, skills test, medical screening, and a thorough background check. Federal law mandates the maximum weights for the National System of Interstate and Defense Highways. Vehicles with a gross vehicle weight greater than 80,000 pounds, single axle weight more than 20,000 pounds, or tandem axle weight that exceeds 34,000 pounds are considered overweight. Likewise, loads that measure more than 102" in width are considered over-size. In both cases, special permits must be obtained at the state level in order for these loads to be legally transported. Carriers that wish to transport a load into a state in which the vehicle is not registered through the IRP, they are required to obtain a Trip Permit. This acts as a temporary registration for the state. Likewise, if a vehicle does not have an IFTA they must apply for a Fuel Permit in order to remain compliant. Additional permits may also be required, depending on the state. For example, temporary mileage permits are required in Arizona, Kentucky, and New York. Carriers who transport hazardous materials have to prove that their operations comply with the safety standards set by the FMCSA. They also must certify that they have programs in place to ensure safe transportation and handling of hazardous materials. This applies to intrastate, interstate, as well as any foreign motor carriers that transport a certain amount of types of hazardous materials. While it may seem like a hassle for trucking companies, carriers, and fleet owners to comply with the myriad of licensing and permit rules, it's all about creating a safe environment for drivers. It is vitally important that carriers understand their regulatory obligations and comply with the rules. If you have questions about licensing, permits, or any other DOT compliance issue, contact us. Our experts will be happy to help you navigate the sometimes confusing rules and regulations so you can focus your attention on what you do best.